Last week, I critiqued the framings of policy by the major political parties on land and agriculture. While agreeing with elements of the proposals, there seemed to be some important gaps, misunderstandings, and problematic assumptions. At root was the failure to grasp the implications and opportunities of the new agrarian structure. Whether positioned around a populist, nationalist narrative or one focused on private investment and individual entrepreneurship, the policies do not focus on the importance of a new group of ‘emergent’ or ‘middle’ farmers, as part of a socially and economically differentiated rural population. The new agrarian structure, with a tri-modal pattern (involving large, medium and small scale farms), also has important implications for all areas of policy, whether infrastructure, services, finance and so on. In our 2010 book, based on a decade of work in Masvingo province, we started from the realities of farmers in A1 and A2 farms acquired through the post 2000 land reform programme. We argued that these new farmers are not like communal farmers, nor larger scale commercial farmers. They are different, with different aptitudes, skills, needs and potentials. We equally argued that we don’t have to start from scratch. There is much to build on in terms of initial investments, and the skills and knowledge of the new settlers are significant. These are new people with new production systems engaging in new markets – all with new opportunities and challenges. Getting agriculture moving requires investment, and this means private individuals, businesses and the state working together. Yet a vibrant agricultural sector always is reliant on solid state support – to provide basic infrastructure, extension support, and public research. This has been a long-term lesson, both in Zimbabwe, and elsewhere. Following land reform in 2000, there has been vanishingly little support, from government, donors or others. Where subsidies have been offered they have often been misused. With new people on the land, a major investment is required to reconfigure the basic infrastructure for new uses. The old patterns, appropriate to large-scale farms, are no longer appropriate. Investing in roads, schools, health clinics, dams, irrigation schemes, dip tanks and so on is essential. While individual entrepreneurs are making a difference through private investment, these basic public investments are a vital complement. In addition, research and extension is vital. But the new farmers are often highly educated, well-connected. This opens up new opportunities: the old style intensive extension system probably doesn’t make sense. For example, support for marketing or input supply via mobile phone updates, or agricultural extension or business planning advice offered via the Internet offer real opportunities. One of the big constraints on agriculture currently is finance. Approaches to loan arrangements with new forms of collateral are required, with state guarantees to private bank loans. Accessible, cheap finance could open up multiple opportunities. Security of land tenure is an essential prerequisite for successful production and investment in agriculture. Tenure security arises through a variety of means. Existing legislation allows for a wide range of potential tenure types, including freehold title, regulated leases, permits and communal tenure under ‘traditional’ systems. All have their pros and cons. Policymakers must ask how tenure security can be achieved within available resources and capacity; how safeguards can be put in place to prevent land grabbing or land concentration; and what assurances must be made to ensure that private credit markets function effectively. Lessons from across the world suggest there is no one-size-fits-all solution centred on freehold tenure. Instead, a flexible system of land administration is required – one that allows for expansion and contraction of farm sizes, as well as entry and exit from farming. While the excesses of elite patronage and land grabbing must be addressed through a land audit, a successful approach, overseen by an independent, decentralised authority, must not be reliant on technocratic diktat. Land reform has reconfigured Zimbabwe’s rural areas dramatically. No longer are there vast swathes of commercial land separated from the densely-packed communal areas, the inheritance of the colonial Land Apportionment Act. Today, small-scale farms are nearby medium and large-scale farms, sharing labour, technologies, market chains, skills and expertise. This has created ‘multiplier effects’ in land reform areas – economic linkages from new farms to the wider economy. The land reform has given rise to the growth of new businesses to provide services and consumption goods. Such local economic development potentials are far from fully realised, and to date there has been little support to this wider, new rural economy. To make the most of the new mosaic of land uses and economic activities, an area-based, local economic development approach is required. This would facilitate investment across activities, adding value to farm production. An area-based approach needs to draw in the private sector, farmer groups and government agencies, but with strong leadership from a revived local government, with rethought mandates and rebuilt capacities. Reflecting a wide range of interests, the new resettlement farmers are highly diverse in class, gender and generational terms. This diversity has many advantages, adding new skills and experiences, but it is also a weakness. Formal organisation in the new resettlements is limited. There are of course emergent organisations focused on particular activities – a garden, an irrigation scheme, a marketing effort, for example – but these are unlikely to become the basis of political representation and influence. Because politics has been so divisive in recent years, many shy away from seeing political parties as the basis for lobbying for change, and there are few other routes to expressing views. Building a new set of representative farmers’ organisations, linked to an influential apex body, will be a long-term task, and will be highly dependent on the unfolding political alliances in rural areas. In contrast to the past when smallholders could easily be marginalised and were courted only at elections for their votes, the new farmers – and particularly the burgeoning group of ‘middle farmers’ – now control one of the most important economic sectors in the country. Today, this new politics of the countryside cannot be ignored. Many of these four themes do of course chime with policy recommendations that are now appearing in policy documents. However, the real implications of the land reform and capturing the potentials of a new agrarian structure must be front and centre, rather than assuming that the job ahead is only to offset the downsides of the fast-track programme or recapture an assumed ideal past. The conclusions we offered in 2010 hold today. A new debate on land is required, and this needs to be reflected in policy debates. The challenge for the future is a new one however. As the then head of extension Masvingo province put it back in 2006: “We don’t know our new clients: this is a totally new scenario”. If given the right support, the new farmers can drive a vibrant agricultural revolution in Zimbabwe. Of course, this has happened before: with white commercial farmers in the 1950s and with communal area farmers in the 1980s. Both past agricultural revolutions required support and commitment from outside, something that has been starkly absent since 2000. 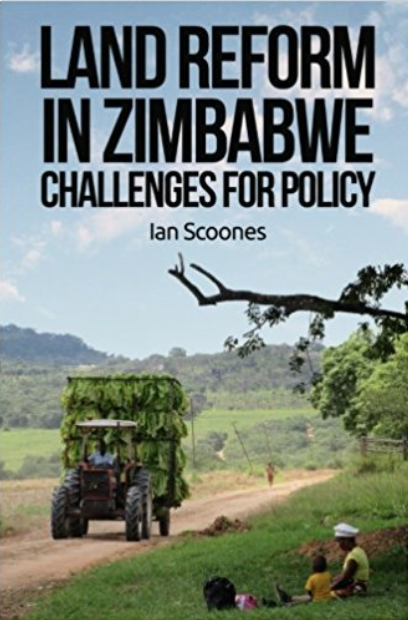 Zimbabwe’s green revolution of the 1980s has been much hailed, but this only involved perhaps 20% of farmers, mostly in high potential communal areas and was quickly extinguished following structural adjustment. The nascent green revolution in the new resettlement areas potentially has far wider reach, both geographically and socio-economically, and must not meet the same fate. A smallholder-based agricultural revolution could indeed be the basis of wider growth and development in Zimbabwe. Now is the time for some strategic policy thinking, not blinkered by ideology or false images of the past, but by a deeper understanding, based on the facts on the ground, of what is going on, and what might if the right investment and support was offered. Another important statement of what is required and appropriate that it was posted at the time of the election manifestos. Point 3. In Kenyan tea growing areas the factories are located right in the communities. People are paid every fortnight or month depending on what they send to the factory. At the end of the year they get a thirteeth payment as a bonus depending on their annual input to the factory. It is a different crop and the climate is perfect for tea. The local set up of factory production does help address the problem of lack of value addition. Also, the tea planters, some with only 1 acre, are the owners of the factory. Similar ideas could be implemented here but the crop would need to be different. Why do the mealie meal producers have to be in town? It could be argued that the small holders who produce surpluses make a high price from their sale by bucket to food deficit customers compared to what they would get in sales to a factory. The latter has to price for onward sale to supermarkets etc. Yet these small holders cannot sell at all for much of the year because of aid distribution and food for work programs. They then sell at more or less the millers rate. They also are glad to get a one-time big sale at a lower price rather than bucket by bucket at an higher price here and there.